When Len Honcoop Gravel is approached with a potential project, it becomes our mission to help ensure that the final product is delivered on time and in budget. Our team of professional estimators and support staff employ complex tools to ensure their bids are competitive and complete. Laser and GPS equipment can be used to gather topographical information about a site when plans are unavailable. Our modelling software can turn data into extraordinarily accurate material takeoffs. We leverage our extensive past performance to select the appropriate equipment and crew members for a project. This all results in efficient productivity. Our estimators are well-regarded by our clients for accurately predicting project development costs, even when designs are incomplete. At Len Honcoop Gravel, we operate a fleet of late-model production equipment. Machines are replaced on a regular schedule designed to minimize major scheduled maintenance, as well as losses in efficiency that follow years of service. Our GPS-equipped computer controls help squeeze every ounce of productivity out of the equipment. We employ talented, dedicated and motivated personnel to operate our machinery. Honcoop Gravel has made it a point to attract talented people and take good care of them. We encourage them to continually grow their skills while providing family wages and competitive benefits. As a result, there is very little turnover, and our clients can depend on seeing familiar faces on project after project. Our veteran employees offer mentorship and impart knowledge to younger workers. Equipment operators understand the laborers’ jobs, and our laborers are expected to develop their operating skills. This culture multiplies the productivity of our workforce. 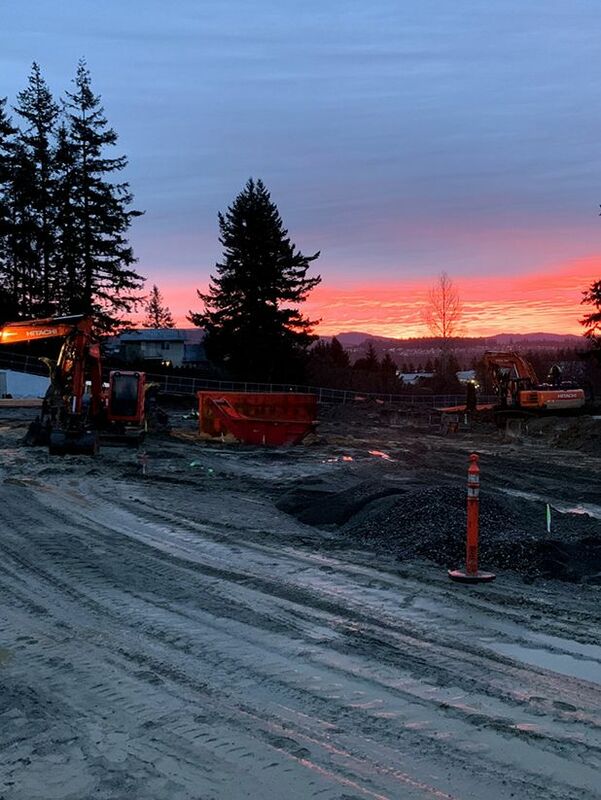 One of the most important things that Len Honcoop did for his company was the purchase of aggregate pit properties and mining rights around Whatcom County. 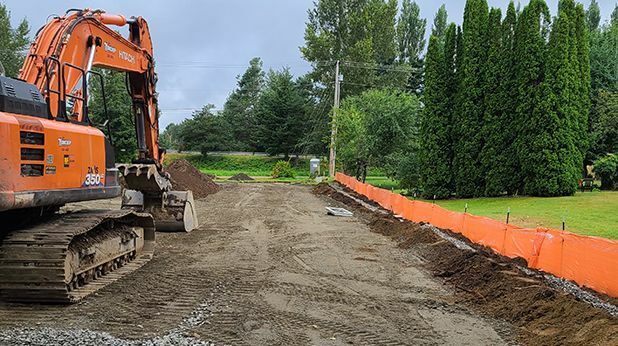 The gravel from the Van Buren Pit in Lynden, and the Cherry Point Pit in Ferndale have made it possible for Len Honcoop Gravel to offer highly competitive pricing. Operating in a third pit near Blaine has complemented this capacity. Availability of inexpensive gravel is only part of the story. We enjoy great ties with other local aggregate suppliers and can supplement our fleet of six dump trucks with rental trucks to meet demand across muliple projects simultaneously. Safety is paramount to every contractor, especially when your crew are members of an extended family. As such, Honcoop Gravel maintains a comprehensive Accident Prevention Program, and generates site specific safety plans when the general guidelines do not meet the challenges of an individual project, or when specifically requested by a client. We conduct regular safety meetings and discuss a wide variety of topics to engage and challenge our personnel to make safety a priority in their daily work. Matt Hungerford is responsible for the implementation and enforcement of our safety programs. Trench safety is especially important at Honcoop Gravel. We maintain a fleet of trench safety items in our inventory including a 6x6 expandable manhole box, (2) 16-foot and (1) 20-foot trench boxes, plus speed shoring. Each unit is regularly maintained and carries current certification.